What a week. Tour of Cali live streaming online, great weather outside, and lots of riding myself. 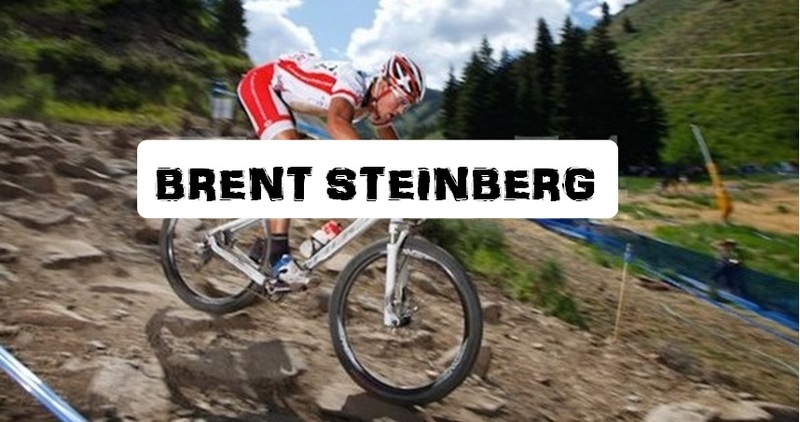 After last weeks road races, I stepped away from the skinny tires for a bit and brought out the mountain bike. The Tabeguache trails, which are about 4 miles from campus, are in prime condition right now. That lead me to do some long hours and lots of climbing on the MTB early in the week. Well, my road bike in all her carbon glory looked lonely after riding the fat tires for a couple days. I guess I have to split time with them so they don't quit on me when they are most needed. Put in some decent time later in the week in some nice 40-50 degree and sunny weather. Saturday I needed to get out of town. The trails in Fruita and Loma are still not rideable, so the next best option was for some red dirt goodness of Moab. A quick 1.5hr drive and I am there. Started at 9 in the morning from the center of town. Did the world famous Slickrock trail first. Had it all to myself. Can't say that too often about that trail. Rode back down into Moab, grabbed more water, and rode north out of town to my next destination. Hit Gemini Bridges to Gold Bar. Went to the overlook, then hopped back down to Golden Spike and linked that to Poison Spider. Great ride. It had everything from sandy roads to sandstone and a mixture of both with techy spots to keep ya on your toes. From there is was a ride back into Moab, more water, then off to Amasa Back. I was only able to ride a bit of the trail as time was a factor and I did not want to play in the dark. CLICK HERE FOR THE PHOTOS OF MOAB. It will take too long to load them with blogger. It ended up being a great day of riding. 75 miles of riding in 7hrs with 10,154 ft of climbing. Grabbed some grub and back to home base. Today was a day of fixing a flat on the road bike, then chamoising up for the last ride of a 6-day block. Cloudy today, which is unusual, but still mid-50's. Nice spin on the skinny tires to cap off a 28 hour week in the saddle. Next up is some much needed rest and recovery, followed by the first collegiate road races on the weekend. That should be the start to my intensity this year. Wow, I just finished my first races of the year. This winter has seemed really weird. Usually the first week of November is my last race, and I don't start racing again until mid April. That time is usually spent slogging out the miles in damp, cold, and cloudy conditions for months on end. This winter has been very mild out here. People would say it is cold, but sunny and high 30's to mid 40's everyday is luxury. Toes don't go numb, faces don't freeze. It is nice. Just get on the bike and ride until the sun goes down. Never are there thought of how much longer I have to ride or how uncomfortable I am. Sometimes I have to limit myself so I don't get burned out way too early in the year. So, after 6 weeks of some base mileage, I headed down to Phoenix with some friends to get the first intensity of the year in our legs. After a 9.5hr drive, we were in the heart of Arizona. Friday was a 14.5 mile TT west of Phoenix. False flat out, head wind back down. Having never done a TT before, I had no idea what to expect besides it would hurt. Put some stubby aero bars on the road bike and headed off. I passed 3 people and never got passed. The legs felt good, but I probably could have gone a bit harder. I was happy with my performance. Got the lungs burning for the first time. Afterwards, looking at my PT download, I was very consistent. My avg power was the exact same coming back as it was going out. A good way to start the year. Ended up 9th. The road race was 7:40 in the morning on Saturday. Welcome to Cat 4. Low 40's in the city, and about 30F where the race was. Once we got going it wasn't too bad. The race was only 40 miles and a bit boring. I went off the front on lap 2 on the climb. 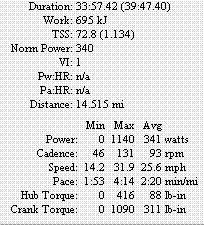 There was a KOM at the top, but didn't even attempt the sprint after the three on my wheel for the past 2k jumped. Going into the final group sprint, we weaved though a junior women, then everyone sprinted through a 2 master woman break. It was so freaking sketchy. Wasn't even able to get into good position or sprint hard. Only 1 crash in the 4's, so it was successful. Finished 9th again. The crit was Sunday in an upscale neighborhood. I was looking forward to this race as I was hoping it would be fast and I could go hard. I lined up in the back of 85 guys, but passed half of them as they were trying to clip in. First few laps were freaky as everyone hits their brakes going into the corners. I was able to move up and stay in the top 10 to be safe. The front was much smoother with better riders. I guess the field blew apart pretty good. As I was sitting 8th wheel around a corner, a USAFA guy went down in front of me. Somehow, I was able to nail the brakes and steer around him. The front 6 was gone. After chasing solo for 2 laps against a working front group, I looked back to see a group of 6. Slowed up to wait for them to bridge back up. Got to them and pulled a lap as no one would work. I waved them through and everyone starting bitching. F-bombs everywhere. People almost fighting because no one would pull. I launched with a WM guy. Didn't dig very deep here. They brought us back. On the last lap with 500m to go, I jumped them and took it to the line for first in the chase group. I was 7th. It was a blast. Just wish the roadies weren't as big of assholes. Legs felt good. Think I was 8th in the GC. Legs felt good for some base mileage in them. Can't wait to see what I can do this spring once I start some intensity in a few weeks. I'll have pics up later. I'll just leave you with this. 3.5hrs of bliss.